There’s always been a decisive line drawn in the sand between professional and entry level gear. Case in point; the line between the most professional headphones and the ones you get prepackaged with your iPhone is sort of like a schism. You see, while sound quality is a subjective thing when you’re choosing headphones, the standards of which are well known around the world. This is why there are massive jumps in price and quality. So much so that sometimes you wonder just what kind of gear you should be buying. Of course, there are a lot of different models and types of headphones you can use, and you can even back track if you really wanted to. 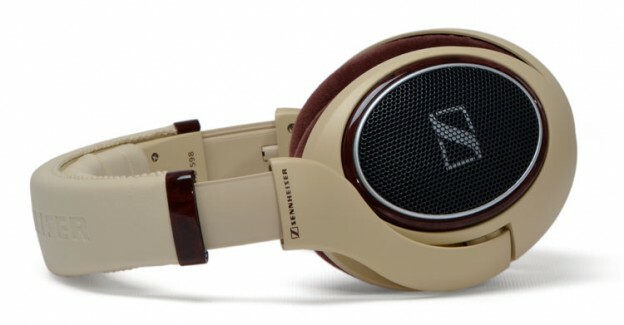 In this line of thought; would it be worth it to jump back in time and buy the ever pricey Senheiser HD 650? Sennheiser has grown quite a reputation among audiophiles and professional mixers alike. This is because they often request a huge amount of cash for each of their pieces of gear. Of course, they’re also one of the premier producers of sound quality, and every time they come out with a new iteration of one of their products, it is often worth a look. The HD 650s have grown to be a well loved pair of headphones, and have been around for a long time. They feature a huge amount of bass, which makes every war film come alive with each explosion. The booming sound also complements bass heavy music like electronic or dubstep. In fact, it might actually be a bit of waste if you don’t take the time to buy lossless music or high definition films because the 650s really strive to enhance your music experience. At the same time, your gaming can also stand to improve with these little wonders as most games of today are huge on booming and massive soundtracks. The inevitable downfall of these headphones is hard rock, and to some extent, more subtle listening experiences often suffer. The first time you see these headphones, you’re going to assume that they’re a little clunky and aren’t designed for an on the go lifestyle. You’d be right because these things are monstrous when compared to other headphones with the same quality. The 650s also has a 9 foot cable, so you’ll also have to deal with the clutter when you pick a pair up. The set comes with an adapter, but no extra cord, so you’ll have to spend a bit more for a spare if you really need it. These headphones fit snugly around your head, and while they are a tad on the heavy side, they never feel cumbersome. Time has not lowered the price of these monsters much, and if you’re really looking into buying a pair, be prepared to spend almost $500. 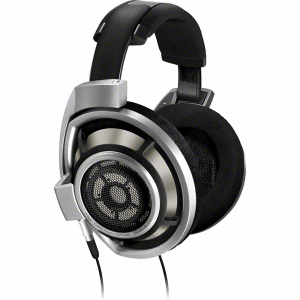 However, like most Sennheiser products, you’d be hard pressed to find a reason not to pick this pair up. Of course, if you aren’t in the market for such an experience, there are cheaper and admittedly, more advanced models in the market today. Consider this pair only you have a huge paycheck coming up or if you don’t mind eating out of cans for a few days. Being in the audio electronic industry since 1945, Sennheiser is a trusted company when it comes to high end audio products including headphones. 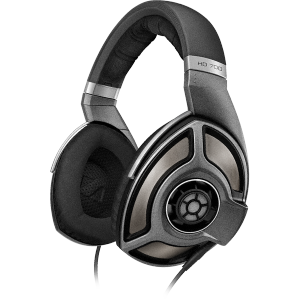 One of its best products is the Sennheiser HD800 Over-Ear Circum-Aural Dynamic Premiere Headphone. Sennheiser HD 800 is a revolutionary headphone that every user would love. It has everything that every person is looking for in a great headphone including comfort and sound quality. This will give you an over the top listening experience without hurting your head or ears. The Sennheiser HD800 Over-Ear Circum-Aural Dynamic Premiere Headphone is a high class stereo head phone that is perfect for people who would like to listen to quality sound as if listening directly to the source. This is for those who are also looking for comfort allowing them to listen to the music they love continuously without straining their head or ears. Music and audio professionals would also benefit from this product because of the crystal clear sound it provides. This headphone is open around the ear with pads on the earcups providing comfort letting you use it for as long as you want. The padded headband also adds to the comfort, preventing strain on your head. The quality of sound is excellent, making you feel that you are actually listening to the main source of the audio. It also effectively decreases distortion and eliminates outside noise letting you listen clearly to the sound you are playing. Its ring-shaped transducer makes it possible for you to hear this unparalleled sound quality. Its high performance cords not only prevent tangles but also help in decreasing ambient noise. Its detachable cable allows convenient storage, as well as replacement. This is a headband style headphone with padding on the headband and the earcups providing comfort. It is available in silver color. The cable length is 3 meter, which is symmetrical, Kevlar reinforced, oxygen-free copper and silver plated too. Without the cable, the headphone weighs 330 grams. It has 330 Ohm nominal impedance, 1/4″ stereo jack plug, approximately 3.4 N contact pressure and around 0.02 % total harmonic distortion or THD. Its frequency response is 6 to 51,000 Hz or -10 dB and 14 to 44,100 Hz or -3 dB. The ideal operating temperature of the product is –10 °C to +55 °C. The Sennheiser HD800 Over-Ear Circum-Aural Dynamic Premiere Headphone is an excellent product for personal, as well as for professional use. Its natural and high quality, crystal clear sound lets you enjoy music even at a lower volume. It can also effectively eliminate distortion and outside noise. Professionals who need to focus on the details of the audio their listening to will also find this beneficial. Its padding provides comfort letting you use it for a long time. Its tangle resistant cords prevent annoying tangling, which may also cause damage. They are also detachable so they can be replaced easily in case of problems. There are several advantages that you can get from using Sennheiser HD800 Over-Ear Circum-Aural Dynamic Premiere Headphone. You can be assured of the best quality of sound that you can ever find that is the same as if you’re listening to the main source. It can effectively prevent distortion and outside noise, adding to a great listening experience. It provides comfort letting you use it for the whole day. Its cords can be detached making it easy to store them, as well as replace them when needed. They are also not prone to tangles, which brings convenience. The only drawback of this product is its price. It is a lot more expensive than other headphones. Sennheiser HD 598 High End Headphones are excellent quality headphones manufactured by Sennheiser electronic GmbH & Co. KG. This is a German company that has been producing high-end audio electronics since 1945. It provides clear sound and eliminates outside noise, which gives the best listening experience. Its sleek design gives a sophisticated look while ensuring comfort allowing you to use it for long hours. This headphone is for people who enjoy listening to music and would like to get the best sound that they could get, while also providing comfort. Since this is comfortable to the head and ear, you can listen to your favorite sounds for as long as you want whatever genre you prefer. This is not just for ordinary people who are music enthusiasts; this is also for professionals who need to listen to crystal clear sounds and not be distracted by the noise in the environment. 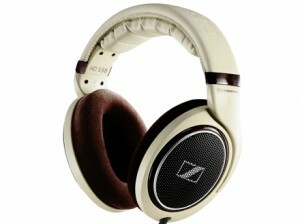 Sennheiser HD 598 High End Headphones have Eargonomic Acoustic Refinement or E.A.R. technology, as well as headphones that are open circumaural, which ensures clear audio sound. It also comes with advanced Duofol diaphragms that reduce distortion of audio. It is lightweight and comfortable on the head and ear with its pads. It is made from durable material designed to last for years. It is stylish with its burl wood parts around the ear pads, as well as its beige color. Cable can be replaced easily and prevents tangle. It can be used on most home entertainment systems, as well as on portable devices as it comes with an adaptor. 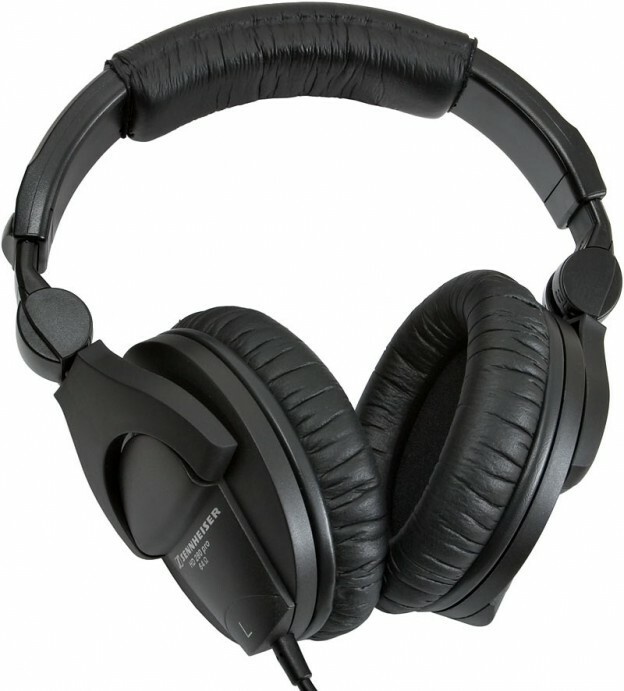 Sennheiser HD 598 High End Headphones use EAR technology and comes with first class open circumaural headphones providing top notch sound quality. Its neodymium ferrous magnet systems ensure great dynamic response. It weighs 270 grams with 6.3 mm jack plug that can be connected to compatible devices. It also has a 3.5 mm adapter ensuring that you can connect this to other portable gadgets. It has lower than 0.1% total harmonic distortion. Its sound pressure level is 112 dB with impedance of 50 Ohms. Its frequency response is 12 to 38,500 Hz. Its cable length is 3 meters, which can be detached and replaced. It was also designed in a way that it prevents being tangled. Its padded headband and earpads bring maximum comfort while remaining stylish. Sennheiser HD 598 High End Headphones are fantastic products for regular users who are into music or would like to listen to high quality sound whether at home or while on the go. Its high quality and clear sound let users enjoy every bit of the music as every single detail can be heard properly. Even when listening to songs in a crowded place full of noise, this will not affect the listening experience because it can block unwanted noise effectively. Even professionals could benefit from this product by Sennheiser as it can be used if learning a track for recording or for a performance. This can also be used to study every detail of a music that is being developed. It’s comfortable and stylish, which can be used even for a long period. 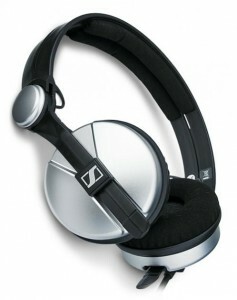 Sennheiser HD 598 High End Headphones offers several benefits. It has outstanding audio quality and noise reduction that let you listen to audio files conveniently without any distractions. The headband and earpads are comfortable avoiding pressure and strain. Cables can be detached and replaced for easy fix in case it gets damaged. It doesn’t have other color options and it does not come with a case where it can be kept securely. 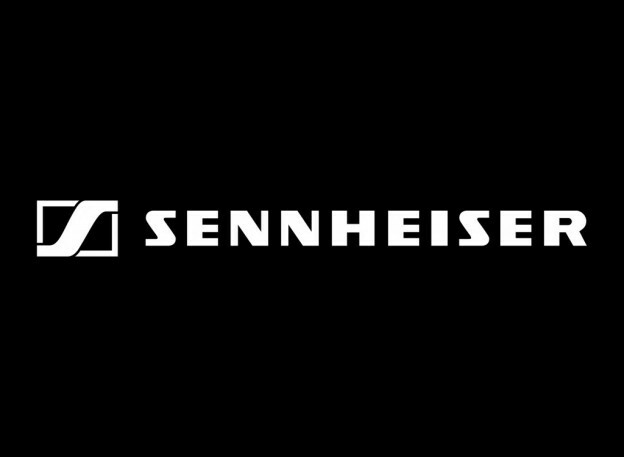 Sennheiser electronic GmbH & Co. KG or Sennheiser is a German company that has been in the audio industry since 1945. 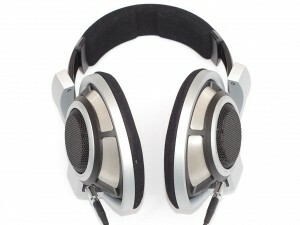 The company designs and produces various audio products including headphones, headsets and microphones. One of their products is Sennheiser HD280. This headphone boasts itself for its quality sound and the ability to effectively suspend background noise. This product is for music professionals, as well as those in an industry in which they need to listen and be able to comprehend audio accurately, including those that are in the transcription business. The quality of its sound, combined with its excellent noise reduction feature let these experts do more work. Non-professionals who are music enthusiasts would also benefit from this as they could listen to quality music for a long period without straining their ears. Sennheiser HD280 has quality sound output allowing you to listen clearly on your audio files, which would be helpful for creating and mixing your music, as well as transcription works. This also maximizes listening pleasure. It efficiently cancels outside noise, giving you more focus on the audio that you’re listening to. It is lightweight and comfortable, allowing you to use it for hours without hurting your ears. It is also compact, making it a space saver. This headband style headphone is available in black and silver color. Its earcups are thick and wide though it is still lightweight giving comfort even when used for a long time. It weighs 7.8 oz or 220 grams. It has 32dB of acoustical isolation, eliminating unwanted noise from the background. It also has linear frequency response letting you listen to sounds with accuracy and ease. It can be conveniently adjusted to the size that would fit the user’s head and the earpieces can also swivel, letting you listen with only one ear, while allowing your other ear to be free if you need to. The earcups and cables can be replaced, which is practical as you can just change them if damaged, instead of having to replace the entire headset. It is compatible with 1/4″ and 1/8″ headphone jacks as it comes with an adapter. It has a coiled cable that can be from 1 meter to 3 meters long. It has frequency response of 8 to 25,000 Hz, 64 Ohm nominal impedance and load rating of 500 mW. It can also be used on newly released tablets. Sennheiser HD280 is a headphone that is a good choice for professionals who require superior audio quality and clarity. Music producers can create and mix great music as they can listen clearly to the audio files that they are working on. Transcriptionists would also benefit from this as they can accurately transcribe audio files. Its noise reduction feature makes it a more effective tool for these types of works. The comfort that it brings with its lightweight and earcups let these professionals focus on their job without causing strain to their ear, which could force them to stop on what they are doing. Since it is compact, it can be conveniently stored without taking up much space. Music lovers would also appreciate this headphone. Sennheiser HD280 has several benefits that users can enjoy. One of these is the quality of sound. It also effectively cancels outside noise allowing better audio. It is lightweight and compact, making it easy to carry and store. The earcups are comfortable that it can be used for hours. It can also be used on most audio players, including the portable ones as it comes with an adapter. This can be a bit pricey if only using for personal entertainment. While the headband can be adjusted, it can still be too fitted for others, causing pressure on the head in the long run. Sennheiser is considered one of the premier sound device producers to ever grace the earth, but at the same time, they are probably going to rip your budget up to shreds. Of course, there are a lot of people, both on the professional side and the mainstream crowd that don’t like the way the company prices their gear. However, there is a reason why Sennheiser garners a lot of respect from both sides of the fence, and usually, that reason comes with comfort, awesome bass and balanced sound quality. If you’re in the market for a pair, but you’re still considering that price to performance ratio, then maybe you should be considering a list of the best items from their catalog. Here are some of the top performing headphones that the big company has on offer. The first thing you’ll notice with the HD 700 is that they are huge, sound blocking monsters that will really make your head spin. The first reason for that is because they have a massive range of sound, which has almost no weaknesses. 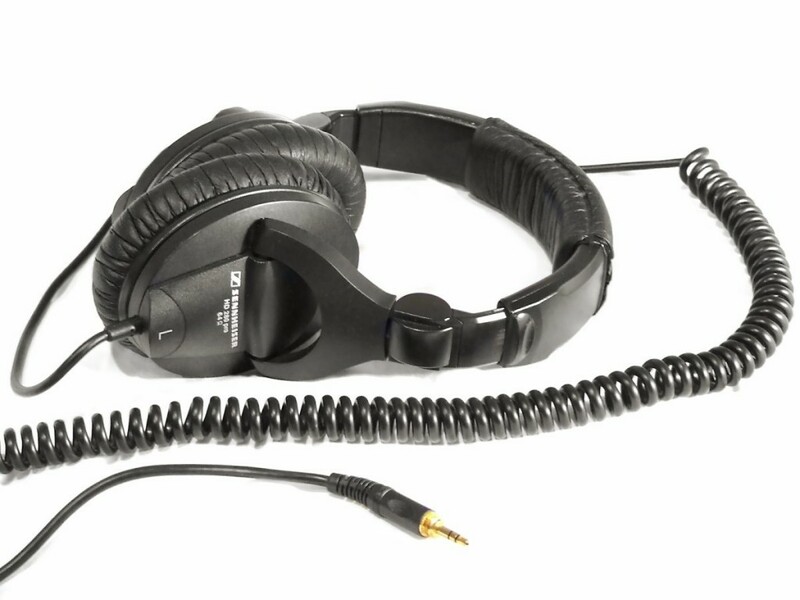 In fact, if you’re one of the people that likes to tweak their sound through an equalizer, you might be disappointed because there’s no point when you grab these headphones. While this pair performs admirably on many different devices, it benefits best from a computer equipped with an HD audio output, or something along the same lines. The second reason your head will spin is because these things cost nigh on $1,000. This pair of huge headphones is basically an upgrade on the HD 700, and at the same time, it is also in a league of its own. If you enjoy listening to titanic .flac audio files, lossless formats, or tracks that are around 320kbps sound rate, these are definitely the pair for you. They provide an accurate and highly clear sound, which allows you to hear tones and instruments you may never had picked up on your different tracks. Your viewing experience, both while playing games or watching movies, is also inevitably enhanced through the use of a quality surround sound support. However, these upgraded headphones also come with an upgraded price tag. You’ll have to top your previous budget by $500 just to afford these monsters. 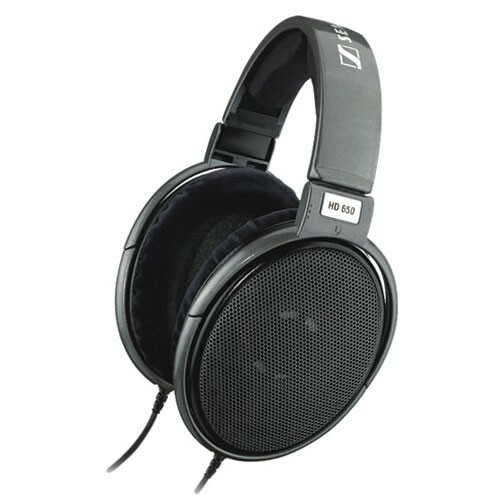 The HD 598 is a bit of a backtrack because it is one of the older models Sennheiser has on offer. At the same time, it has stood the test of time and is actually sort of superior to the first two entries on this list. First off, this pair is much lighter than that of the HD 700 and 800 models, which means it’ll be easier to move around in them. At the same time, the sleek design and look is complemented by unparalleled comfort. It features a nice padding all around the upper ring of the pair, and the buds fit snugly and safely around your head. The sound quality still rivals some of the newer models in many respects. It features a well balanced sound, and never needs to choose or sacrifice between treble and bass. 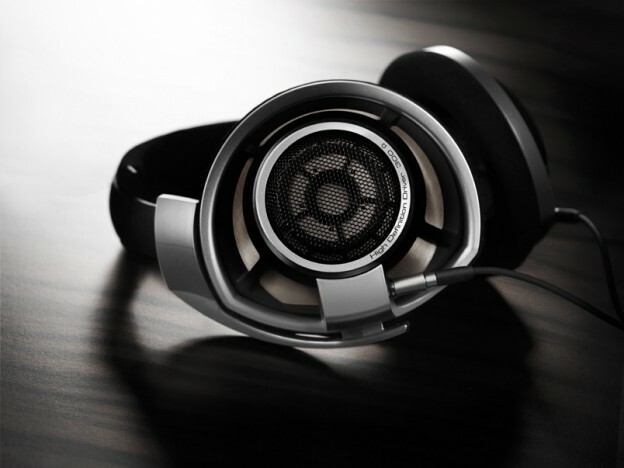 These features make the HD 598 a powerhouse in the Sennheiser line. At the same time, they are massively cheaper than most new headphones on the market today. They come in at around $250, so your wallet won’t be as stretched out. While a lot of the Sennheiser share a common physical quality (They are all most huge), there are some that stick out because of a unique look. The Amperiors are pretty sweet looking, in that they are made for traveling, but at the same time, still support the high quality jacks professionals have come to respect. These are a pair of headphones that you can take around town, but will also provide unrivaled sound output. At the same time, they also have a few unique physical qualities like a foamed up headset and pads that boast the same. At the relatively cheaper price of $300-$350, the Amperior is definitely one pair you should consider when you shop. 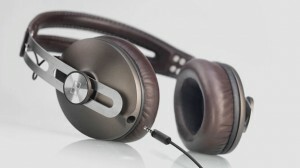 Much like the Amperior model, this pair doesn’t follow along with the standard Sennheiser look. They’re a lot smaller, and look like they belong to a mobile user. At the same time, the Momentum also gives a lot of attention to look and finish. Boasting an almost all leather surface, with sleek and dark coloring, and coupled with a start silver metal headband, you’re definitely going to get noticed with this pair on. The range is what you would come to expect from this company, but at the same time, the Momentum gets the top slot because it sacrifices neither look nor sound. The pair is priced at around $300, so you should definitely pick this pair up if you’re constantly on the move.